All 18 Orvis promo codes have been verified and tested today! If you’re ready to get started, you can apply at any Orvis location, or online at the Orvis website. Want to find the best deals on Orvis gear, even without an Orvis coupon? You should head to the Orvis Clearance room, where all items are on sale for 50% off or more. Just go to the Orvis website, click the red “SALE” button on the navigation bar, and choose “ORVIS CLEARANCE ROOM” from the drop-down menu. You can filter the items by category, and find a great deal. All members of the military are eligible for a 10% discount at Orvis with identity verification from id.me. This discount cannot be combined with other offers. To get started and get your discount, sign up to id.me with your military ID. Then, you’ll be able to use your savings every time you shop at Orvis. 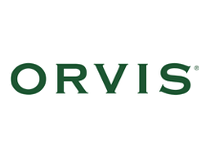 Interested in seeing the latest sales, and special coupons from Orvis? Just head to the Orvis website. Then, scroll down, and click the “Coupons” link in the navigation footer. You’ll be taken to a page full of the latest, most recently-updated coupons and special promotions, where you can save big. As an outdoor goods and supply store, Orvis is keenly aware of the impact that humans have on the environment. As a way to give back and preserve our natural habitat, the company has introduced their “5% For Conservation” program. Each year, Orvis gives 5% of pre-tax profits each year to a number of different, sustainable conservation projects around America and around the world, to help preserve and protect the wilderness. When you shop at Orvis, you’ll be able to support this initiative, and know that some of your money is being used to do good, and ensure that future generations can enjoy the wilderness as much as you do. Haven’t found an Orvis coupon to use on CNN Coupons yet? Want an exclusive discount? If you sign up for the Orvis email list, you’ll immediately get an Orvis discount code that’s good for $10 off of your first order of $50 or more. When you first visit the Orvis website, you’ll get a pop-up asking for your email. Enter it, and get your coupon immediately. Did you miss this promotion? Don’t worry. It’s still easy to get signed up. Just scroll down to the bottom of the page, and find the text that reads “Save $10 on your order today!” Enter your email in the below box, and then press “SUBMIT.” You’ll have your Orvis coupon code in just a few minutes, and you’ll be able to save big. Not sure how to use your Orvis coupon? Here’s a step-by-step guide on what you’ll need to do to redeem your discount, and save more at Orvis. Don’t wait another second. Grab a coupon from CNN Coupons now, head to the Orvis website, and see how much you can save. 3. Affix the included FedEx Easy Return label on the package, and drop it off at any FedEx location. A $6.95 fee is charged for this service and will be deducted from your refund. If you want, you can also return your items to any nearby Orvis retail store. If you’re not 100% satisfied with what you get, bring in your item and your proof of purchase at any time, and you’ll get your money back.